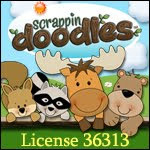 My Doodle Bugs Paper website has a HUGE SALE CATEGORY.. jump on over and check out the 100+ items that are on sale. Some are limited quantities.. so hurry fast! These are all non-personalized items but they are at great prices! Super inexpensive gifts to give to your teacher friends, secretaries, grade level teams, volunteers or pick up a few things for yourself! Speaking of my Doodle Bugs Paper business.. I am SO THANKFUL for my week off each Thanksgiving to get a little caught up on orders and keep the Christmas craziness under control. I have spent hours of time this week in my office working on getting orders finished and shipped out. Wow! You have been incredibly busy! I do not know how you do it! Hope your sales are off the charts! Wow that's a lot of orders! Glad you are able to tackle that task! Thanks for the link up! Best wishes!